Happy Easter everybody! Now with all the diners, brunches and other occasions, you have to be right on time. 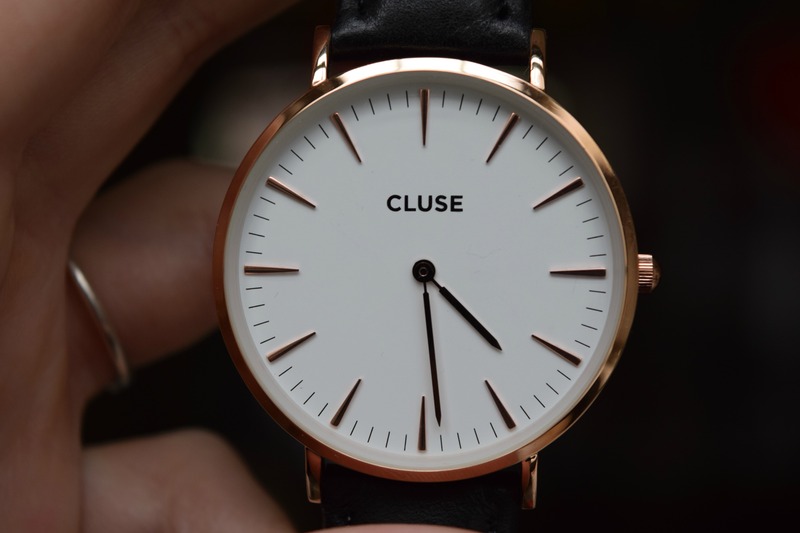 I definitely will, with my newest Cluse Watch! I always have these struggles with watches, because they are always to big or to heavy.. I have very slim wrists, so many watches are often too big. But this one has the perfect size! 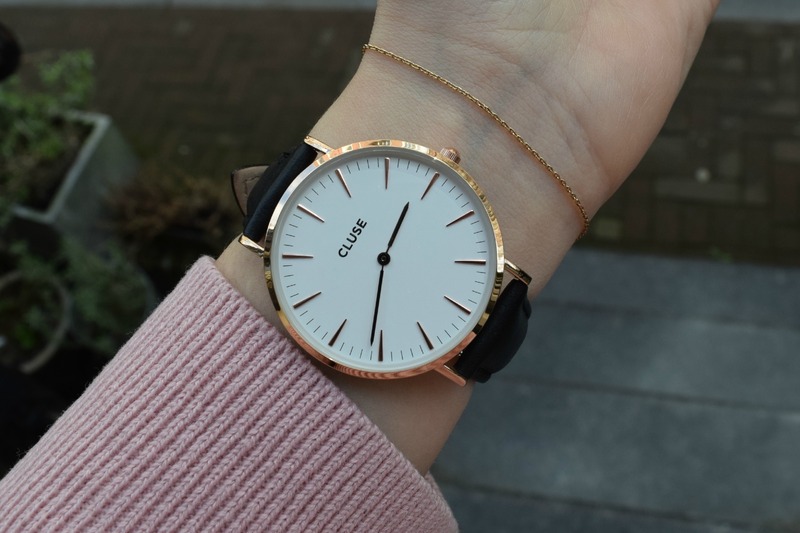 This Cluse La Bohème Rose Gold White/Black CL18008 is all rose detailled: the case, the hands, even the clasp is rose gold. 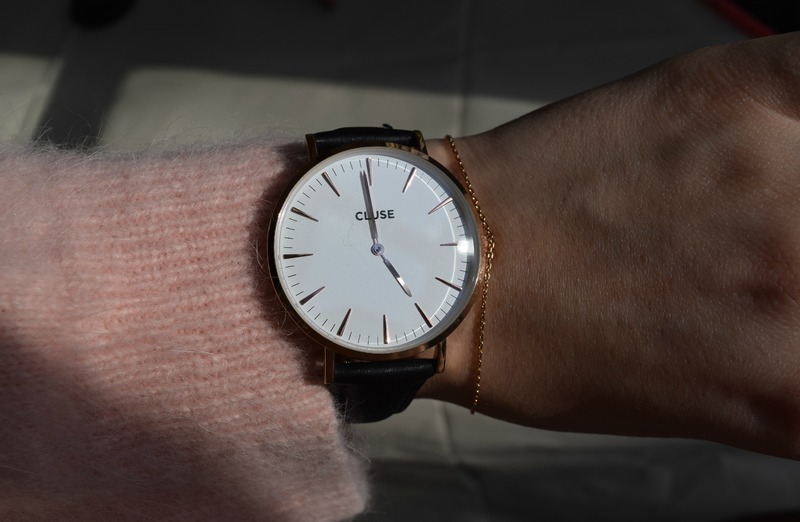 You know I love rose gold, so that’s all great! The strap is made of leather. The diameter of the case is only 38mm and that is what makes this watch very, sort of classy and fragile, but still traditional.